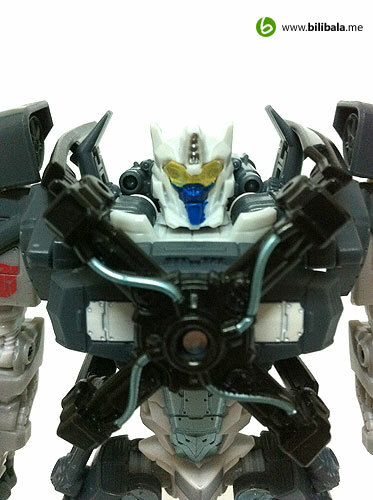 With the Transformers: Dark of the Moon movie and the launching of the movie toys just around corner, more and more toys are being leaked into the market as well. 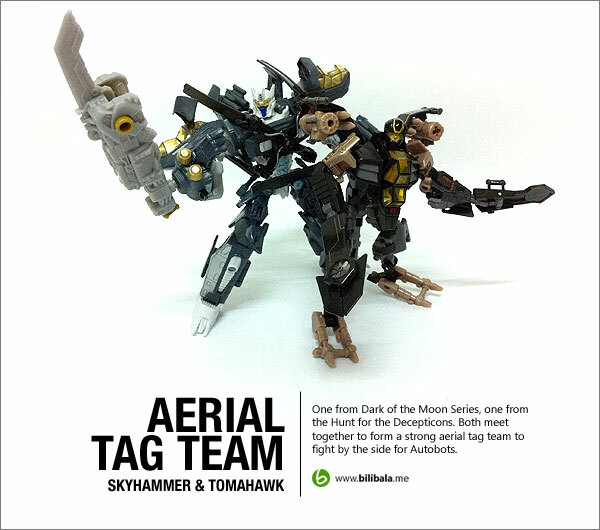 I managed to grab my first 2 pieces of Transformers: Dark of the Moon toys (Skyhammer and Megatron) to hop on the bandwagon before the launch. Just curious on how they get those toys way before the launching and actually selling them in the market. Anyhow, it does is a bliss to me as i got a chance of playing and reviewing them beforehand to give you all an insight on how the new Transformers toys and the long awaited MechTech going to be. 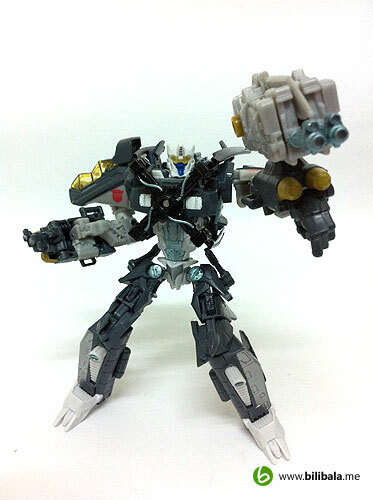 For first off, i will share with you all with the Skyhammer figure which might or might not be in the Transformers: Dark of the Moon movie. 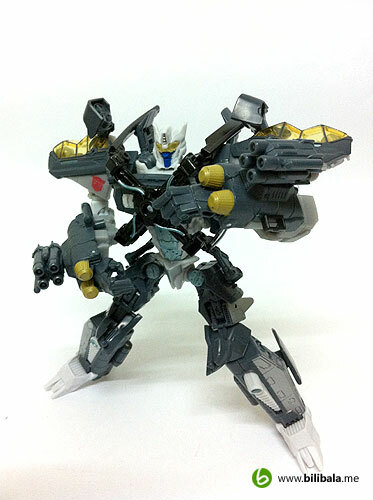 I have little knowledge about this Skyhammer character especially in G1 cartoons. If you really interested in digging out the background for him, here’s a good place to start with. 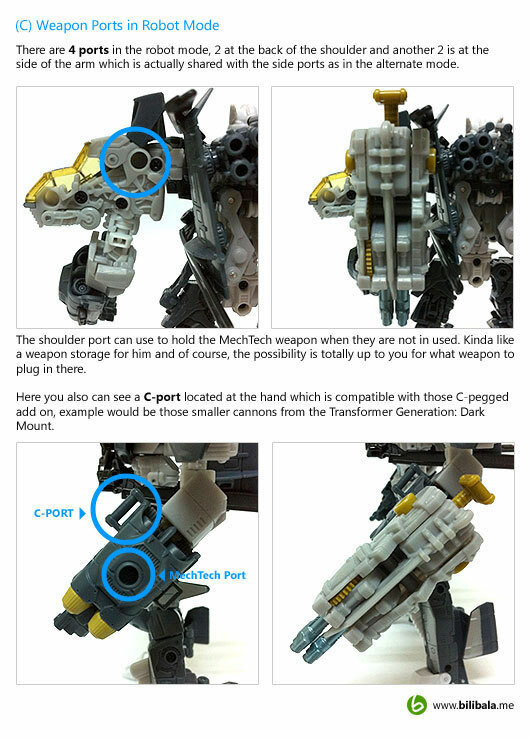 I will skip on that part here and focus more on the toy itself. The very 1st reason of getting him is his awesome cool modes, especially the alternate chopper mode which is quite in tuned with my Tomahawk figure as well. 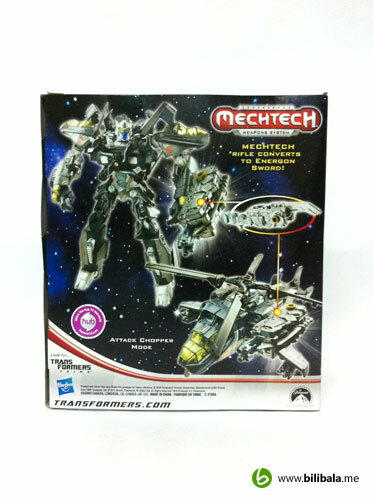 And of course, who would not like to miss a chance of mingling with all new MechTech system that appears in all Transformers: Dark of the Moon toys? 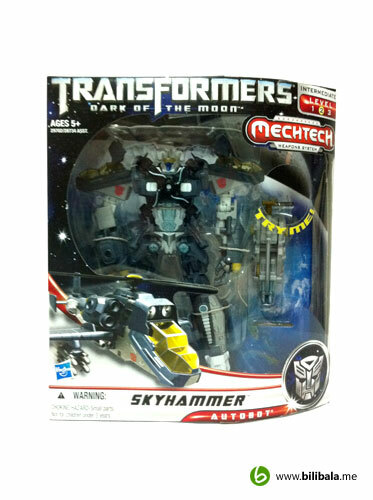 Skyhammer comes in Voyager class. From the packaging here you can see that they have changed every bit of how the Voyager box will be. It seems that they are re-using a leader class box like with the prone-to-be-vandalized “TRY ME” hole there for the new voyager line. And of course, the size of it is not as big as the leader class and it is quite fun to hold the mini-sized leader class box at first impression :p Oh ya, just in case you ask whether is the “Try me!” hole is for testing out the “lights & sounds” for the figure, the answer is NO. That is not the same case like in all Revenge of the Fallen days and this time is purely for “trying” out their Mechtech weapon before you purchase them. As what i mentioned, this will open to “vandalism” and as the MechTech is gear & spring mechanized, the weapon you get MIGHT be loose in these mechanisms due to intense “testing” by fellow passersby. 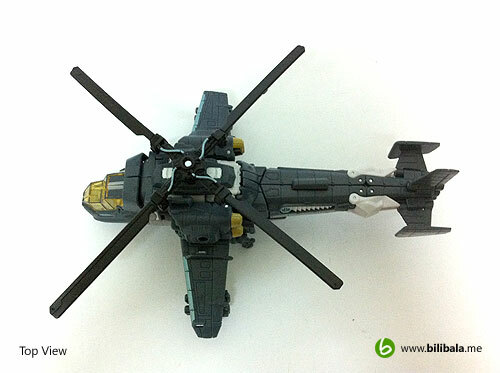 The alternate mode for Skyhammer is a very cool military chopper which personally i think he has the coolest and best chopper mode of all modern Transformers toys. You can see details everywhere for it and numerous colors are being used as well to add in the ohm for the figure. After counting, there are almost 9 colors that make up the Skyhammer: Yellow, black, dark bluish grey (being the primary color), turquoise blue, dark grey, white, red, silver metallic and blue. 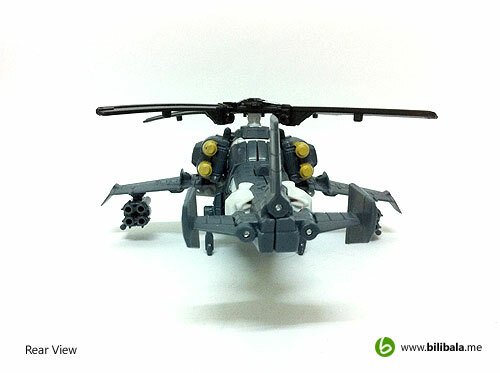 What i must say about this alternate mode is: AWESOME and very well done. It conceals every part nicely and individual separate parts fit nicely among themselves and in turn make the transformation process more involving and fun. 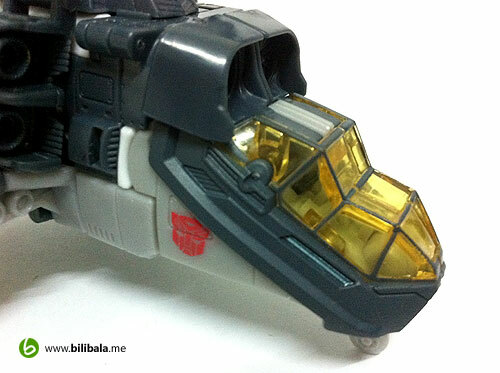 You can notice Hasbro is using transparent yellowish plastic for the cockpit window. 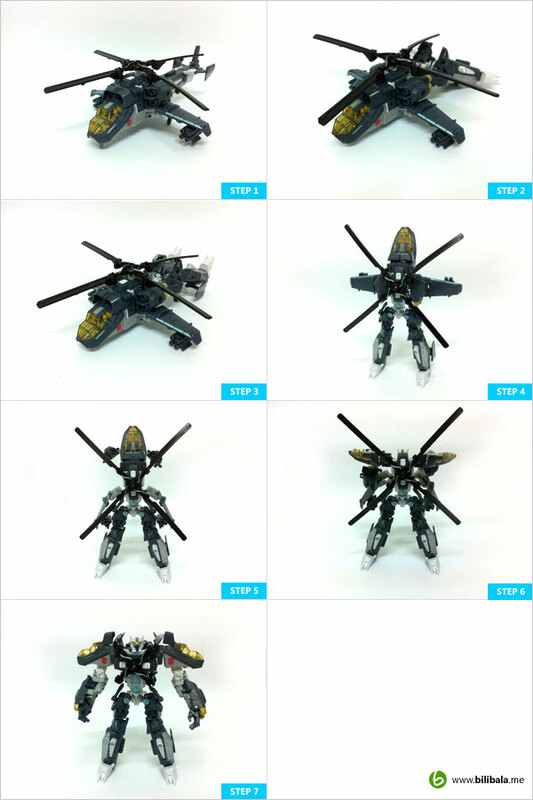 Some other details you can notice are turbine like parts at the side and the detachable missles as well. What’s even more surprising is, you can see the pilot seat inside the cockpit window while in alternate mode. Okay, you can’t see it quite well here in the picture below, but the actual toy does have a clearer view of the pilot seats. 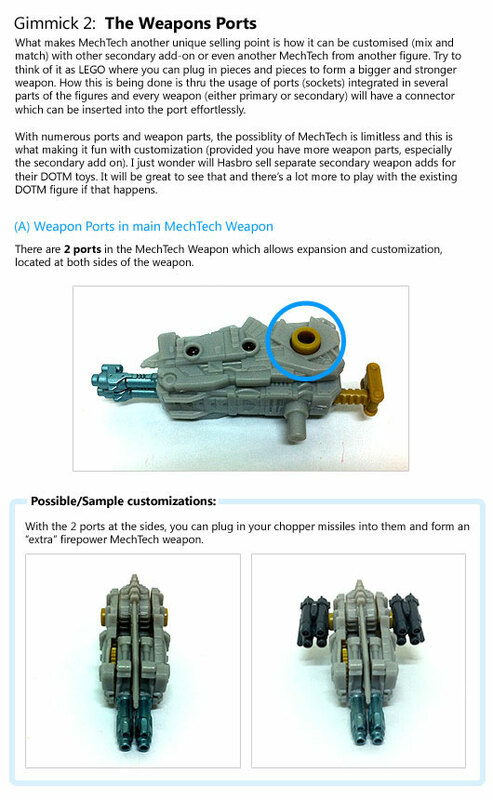 You can notice a very big “hole” at the side of the chopper and this is actually one of the MechTech port which i will touch more at the section below. 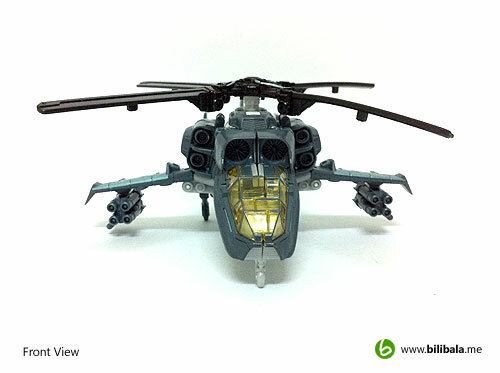 The propeller works very well here and can be turn smoothly with just a simple spin. From here, you can also see smaller details of turquoise blue colored wiring running across the propeller. The 1st impression on SkyHammer: The White Faced Hero! 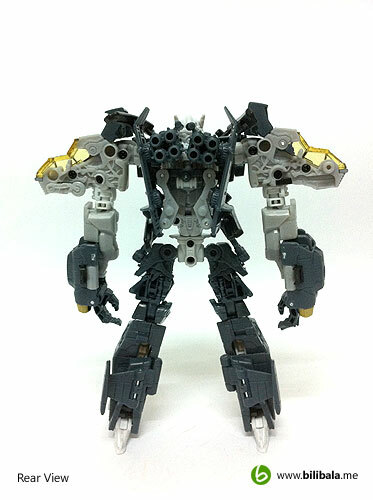 It is really a cool robot with great heroic and confident proportion. 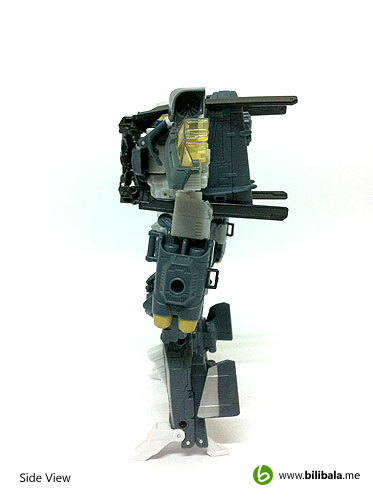 The overall weight distribution is also nicely done which you can really pose him confidently at ease. What’s more, the articulations for this robot mode is quite a lot as well which allow you to do quite a lot of fancy posing. A point to add here, Hasbro has also integrated a waist joint for him and this definitely adds some flexibility to him. 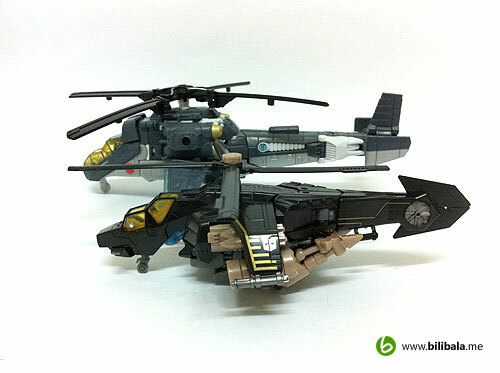 I like the design for the chest part where the helicopter blades are being folded into. 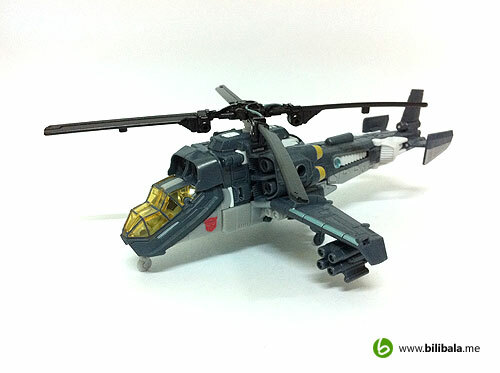 They blend in especially well and it is really a creative way of transforming the longest part of the whole chopper into something so subtle and yet aesthetic. One more thing which i left out, the overall figure is very light in weight despite the bulky looks. But that doesn’t mean cheap plastic being used. The plastics is quite tough and solid in my opinion. See how the blades blend in with the figure. Nicely done indeed. It forms a big “X” in front of Skyhammer. And it does give me a impression of Iron Man’s heart. Eh.. the back of the Skyhammer does look like a honeycomb with a lot of round “holes” around. Some of it are for the screws and while some of it are actually the MechTech ports. Here’s a closed up with the Skyhammer face. Okay. The first question that strikes my mind: Why did they paint it white and blue? 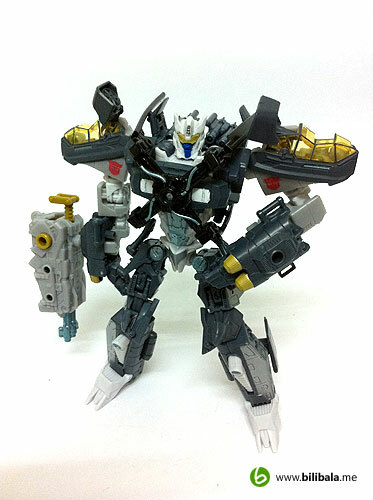 It does have a resemblance of the Ultra Magnus color scheme here but yet, why did they paint it for Skyhammer? I am not actually hate it but i just find it weird with white faces for my robots. In addition, the headpiece reminds me of bat with their 2 pointy ears. Anyhow, it is just a personal preference. Oh ya, there’s a silver metallic painting on the forehead as well which does add in a bit of details for the headpiece. Moreover, there are no light piping being used for this figure and the yellow eye pieces of him is purely a translucent yellow plastic just like those being used in my Transformers Luke Skywalker headpiece. The transformation is quite intermediate and involving, yet not very complicated. You have to twist and turn several parts but they are quite straightforward and you will definitely not have any problem in transforming him back and forth with frustration. Overall a very satisfying transformation especially when you get to see the smaller parts that fit into places. Give Me Some Extra Shots! Here’s some extra shots i have done with Skyhammer. 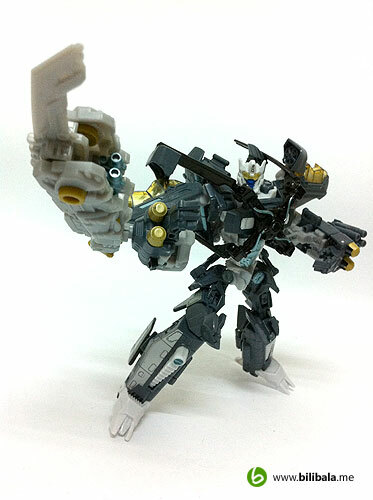 Is quite fun posing him around with his big MechTech gun! A pose with him in Sword mode. Give me some meat to cut with! 2 Missiles attached to the hands instead. 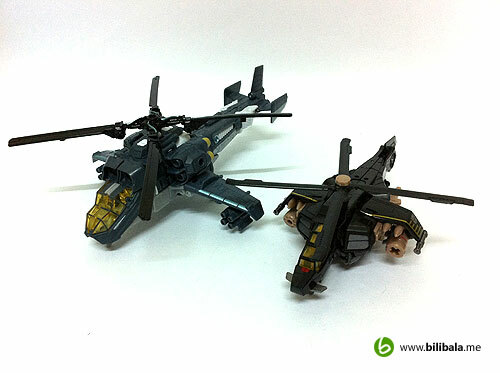 Well, i have taken some pictures of him with his “almost” twin brother in smaller size, the Tomahawk. If you are interested in finding out more about the Tomahawk, you can click here. Here’s something i have done to commemorate them being my 1st pair of Modern Aerial Strike Tag Team! (Sorry about Highbrow, his too old to make it into the tag team). Overall, this is a really recommended collection. And moreover, the MechTech is fun and interesting. 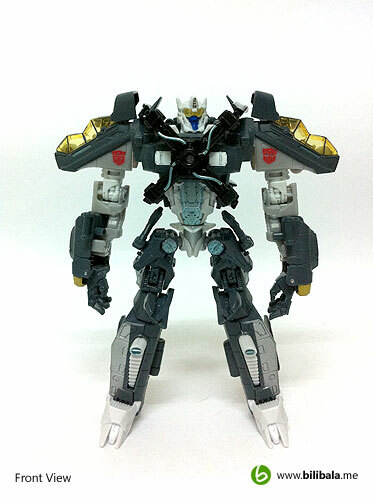 Really looking forward for more Transformers: Dark of the Moon MechTech Toys in the coming months, especially the Human Alliances. I will give them a 9.5/10 Personal Collection Rating for this piece! If you want to jump onto the early Transformers:Dark of the Moon toys bandwagon, try to scout around in your local toy shop. You might find some of them “leak” it out on shelves now 🙂 Enjoy scouting and hauling! 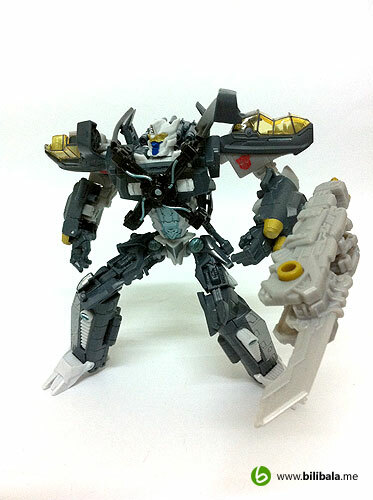 Official Transformers: Dark of the Moon Toys Pictures! 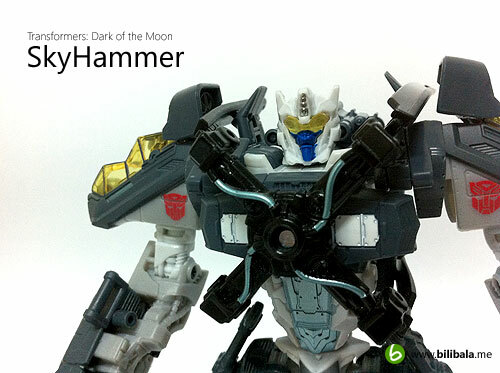 More on Transformers: Dark of the Moon Toys! Transformers Dark of the Moon: Human Alliances! 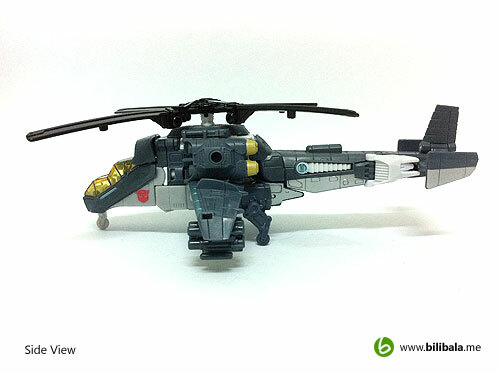 First look at Transformers 3: Dark of the Moon Toys! 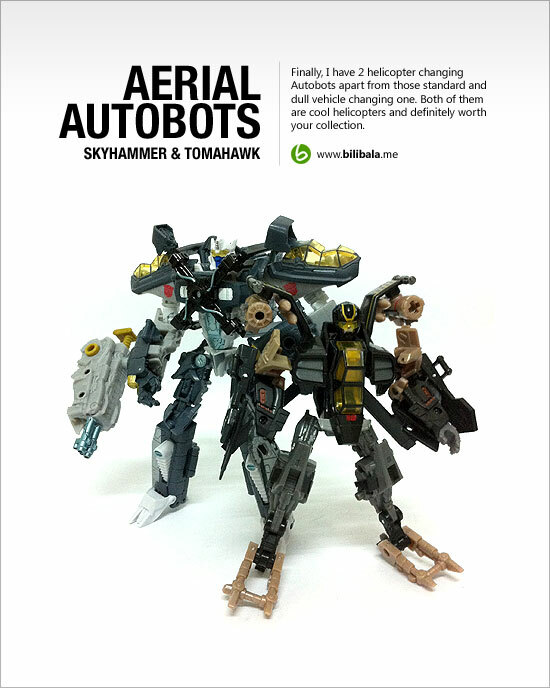 You are right in a way as Skyhammer is voyager class which is bigger and more detail while Tomahawk is deluxe class.